Do you know a tireless volunteer, club member or athlete whose dedication really deserves to be recognised? We have extended the Archery GB awards nominations deadline, so why not put their names forward now? The awards will be presented at the Membership Conference and AGM on 13 April 2019. The event is being held at the Crowne Plaza Hotel, NEC Birmingham and members are warmly invited to attend. You can find more details here. So what awards can you nominate people for? Given by the in 1968 by the Civil Service Archery Association and awarded for the first time in 1968, this annual award goes to the best magazine. Given by a member who is a web enthusiast, these two trophies acknowledge the work and dedication of volunteer web masters at club as well as county and region level. This trophy was donated by Michael Bentine and is awarded to the Archery GB wheelchair archer of the year – an archer who is restricted to a wheelchair and considered to have given exemplary service in any sphere of the sport. This trophy, given by Lord Hartwell, goes to the Archery GB Archer of the Year. The winner is considered to have given exemplary service to archery during the year, in any sphere of the sport. You can also nominate members for gold, silver and bronze plaquettes. 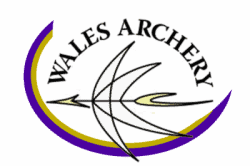 Please send any nominations to membership@archerygb.org by 8 February. You can access the forms here. Please scroll down to the fourth link: Nominations for AGM Annual Awards.